RPCS3 AppImages are now available for Linux! 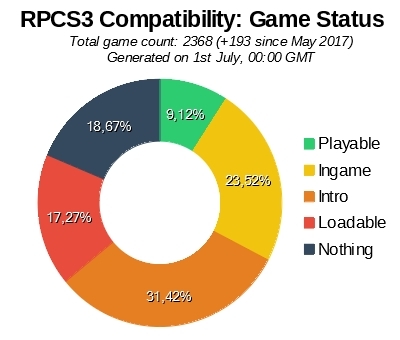 Nearly six months after the Patreon launched the RPCS3 team have finally improved RPCS3 on Linux to the point where it has reached compatibility and stability parity with Windows. Thanks to the hard work by hcorion we can finally start to provide pre-compiled binaries in the form of AppImages for easy installation on your favorite distribution. There were a lot of problems. Back in January, quite literally nothing was working. RPCS3 would crash instantly upon booting any game, if the program itself would even start at all. Moreover, additional functionality like the debugger, framerate counter, and firmware installer were completely broken too. While many of these auxiliary issues were quickly identified and fixed, the fact of the matter was that almost every game would hang after running for a few seconds. This turned out to be much more difficult to fix. This was caused by several different bugs in thread synchronization which were fixed continuously in the past few months. Finally, one last relatively small commit in early April fixed the last bug and suddenly RPCS3 on Linux went from basically nothing to Demon’s Souls and [redacted]. Or so we though, but we quickly found out that the LLVM recompiler was completely broken for a lot of users who just got completely nonsense errors. We encountered strange and esoteric bugs and oddities about LLVM and how various Linux software, including the Mesa drivers, were using it. These problems made RPCS3 unusable for a lot of people. A lot of false flags and red herrings later the bugs were fixed not by changing any code, but by using rare compiler flags. RPCS3 on Linux is now working as intended for everyone, including AMD and Intel graphics users with modern Mesa. Even Vulkan with Mesa is now working! 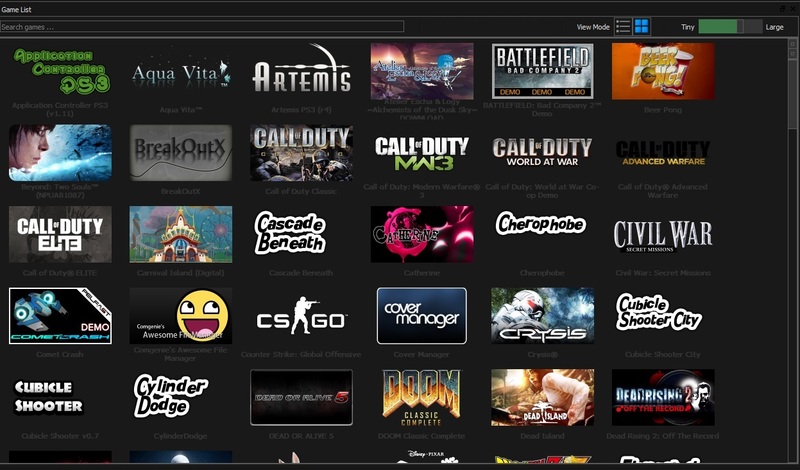 Below are some popular PlayStation 3 games showcased running on Linux. Performance is about the same as on Windows, perhaps even a few percent better in some very intensive games like [redacted]. But take note: These images were either captured on a laptop with a very old i7-2670qm CPU, or a fast desktop with a i7-4770 CPU. Continue reading RPCS3 AppImages are now available for Linux! Moving on to some statistics the numbers alone this month are quite impressive, and that is not even counting games that improved from emulation improvements that are still work in progress. Looking at the GitHub statistics 16 authors have pushed 140 commits to the master branch. Here 353 files have changed and there have been 19,729 additions and 17,660 deletions. These numbers are much larger than normal, and several exciting changes are behind it. This month RPCS3 transitioned away from the previous GUI toolkit Wx to Qt which in turn also lead to several user facing interface improvements. This separate report goes into significantly greater detail regarding what work has already been done on the GUI, and what work is planned to be done in the future. On a lower level, Nekotekina reworked the entire PPU LLVM recompiler to greatly increase compatibility of it. kd-11 fixed various graphical issues affecting hundreds of games, most notably broken shadows and depth of field in various titles. Moreover kd-11 also enabled Vulkan on Linux and pushed support for it to the master branch. Nekotekina and Numan also worked on .sprx relocations in general and in the LLVM recompiler which in simple terms is a compatibility and performance improvement. LLE stands for Low Level Emulation. In RPCS3 this means that a PS3 operating system module is run directly as it is via lower level emulation methods. This is great for compatibility because it doesn’t involve much guesswork and is very accurate. As far as the games are concerned, they are working with the exact same operating system methods with the exact same implementations here as on a real PS3. gcm or “graphics command management” is the part of the PS3 operating system responsible for creating and managing various graphics commands, including everything from how to set up vsync to graphics memory allocation. LLE gcm is huge. A very core part of emulating games is now done exactly the same as on on a real PS3, and the result is amazing. For example Red Dead Redemption no longer hangs almost instantly. The Last of Us doesn’t crash immediately and actually shows a loading screen and goes through a lot of initialisation successfully. [redacted] no longer randomly crashes. Various high end games that did nothing before are now starting to boot, for example the Yakuza series where Yakuza 3 went from nothing to ingame, and Yakuza 4 and 5 went from nothing to loading screens. One could go on and on about what a substantial compatibility improvement LLE gcm is (and I will). Now combine this with the greatly improved LLVM recompiler and over 40 commits of graphics fixes and you have a month of quite insane progress. This would be a great segway into looking at improved games and such, but Jarves did one other important contribution that deserves its own section.